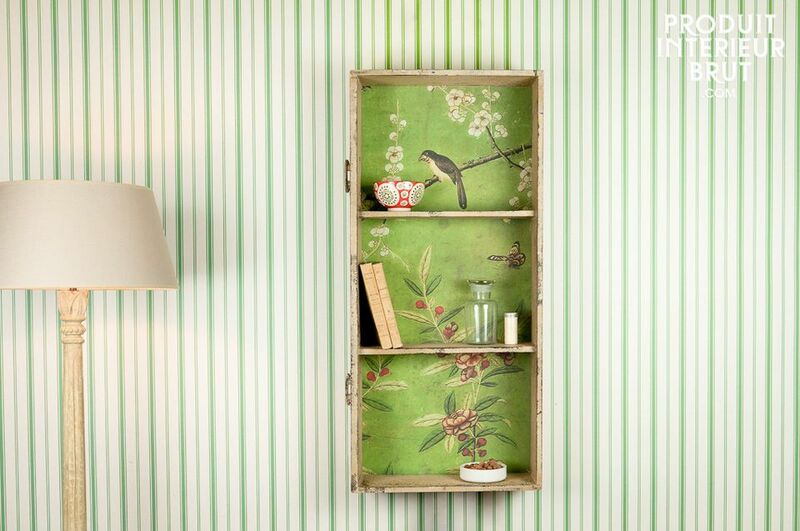 This wall-mounted bookcase is made out of a repurposed drawer, divided into three compartments and hung in a vertical position. 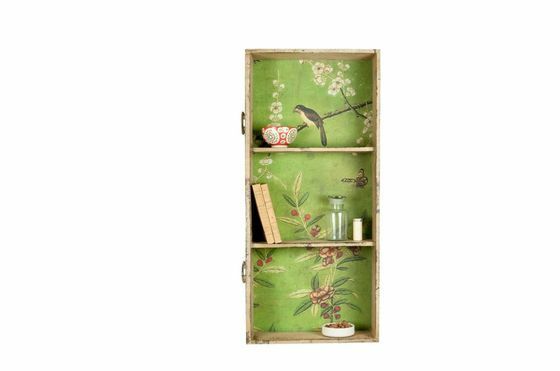 It has a definite country feel, emanating from the green wallpaper back with flowers and birds, but also the wood distressed by layered beige paint. 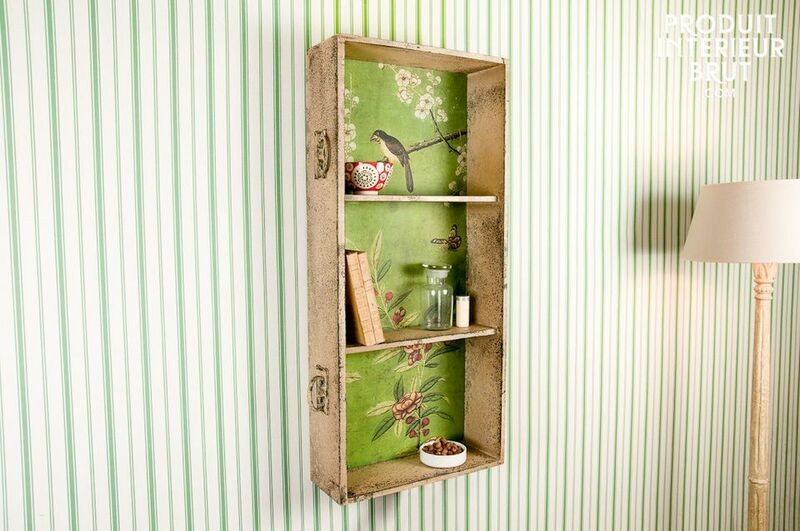 Ideal rustic shelves to showcase all your knick-knacks in the living room, or to fill with books in a bedroom. 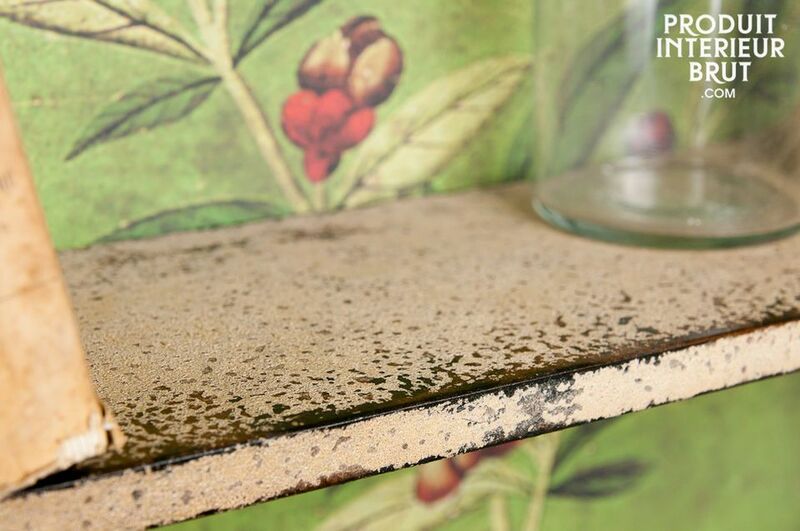 The drawer's handles add to the shabby chic feel of this piece of rustic furniture. "Fast and efficient service. Product as described"